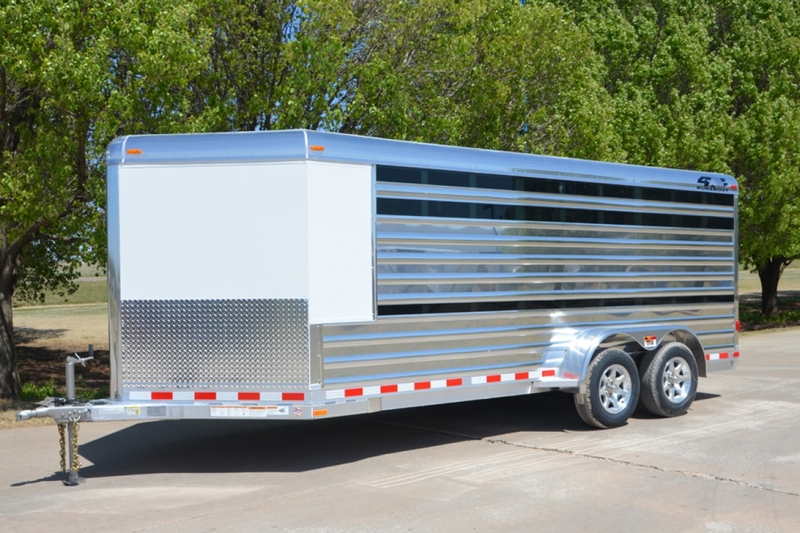 Low profile stock trailers, also called Lo Pro, are designed to be economical by virtue of their low height. Our standard is 6’-0” tall; Perfect for capitalizing on the slip stream created by your truck or SUV as you travel the highways. This Runabout model includes all the important features you’ve come to expect from 4-Star. Stalls can be configured for nearly any type of small livestock. From pigs to alpaca, we’ve got you covered.